Learn How to Restart CRDownload file? Techniques to Restart Crdownload file : Google Chrome is one of the strongest competitors in the war of web browsers. However, it still lacks some of the features while downloading the data. Chrome creates .crdownload file as its PART file for its partial download file. This file represents the data of a file, which is not fully downloaded on the machine. Whereas normal downloading of data process is done while the browser automatically makes crdownload file to temporarily storage downloaded information on the local system. After that, it removes it at the time when the downloading completes. It clears that system users cannot make this file on their own manually; simply either by changing the file extension or by another way. The worst situation that arises in front of a user when the download fails and not able to restart crdownload file. This main issue arises at the time of sizeable download, which can be a big problem. In the following section, we will discuss need and way to restart crdownload file in Google chrome & resume CRDownload File using different Techniques. There are several of situations that arise in front of users due to which they need to resume CRDownload file in Google Chrome. Many times, while downloading the data file the internet connection slows down because of which the data files fails to download. Several times, it also happens that the system suddenly shut down due power failure, malware or virus which stop the process of downloading the file. User has to restart the downloading process again or resume CRDownload for complete downloading. The situation will be cleared with the mentioned user’s queries that are taken from the forum sites to discuss problems related to crdownload file. Downloads, which are failed leave a remaining file in the folder of downloads or where the user store downloading files in their system. That file has an extension .crdownload that stands for Chrome download as already discussed. Once the download is failed, find this remaining .crdownload file in Download folder or desired folder of downloading the files to resume CRDownload file. Check the file name, open the download folder in Chrome, and further, at failed download file’s name. Copy download link from the page of downloads in Google Chrome. For this, right-click it and choose the option of ‘copy link address’ to resume CRDownload file. Further, exist Chrome if required. As leaving it running will make no more difference. Now, paste the file link in Firefox and permit it to start downloading. Once the downloading is started then, pause it. After that, right-click the file, which is there in the download progress Window and choose Pause to resume CRDownload file in Firefox. Open the stored location where Firefox was downloading the data file and check the name. It may be storing via a variant name than it was there in Chrome. Ignore the file extension at this point and copy the file name. Go back to failed download file that is located in the first step and rename it accordingly with the name that is copied in the fourth step. After that, change the file extension from CRDOWNLOAD to PART. Whereas, Windows will prompt to change may result in a corrupt file. No need to worry, go ahead with it. Return to the place where Firefox was downloading, the file and delete it. Now, copy the file, which is renamed to the same location & will help to resume CRDownload file in Firefox. In Firefox, right-click the file that is paused in the download progress window and further resume it. Instead of downloading a fresh file, Firefox will resume downloading process from where Chrome has left off the temporary CRDownload file. 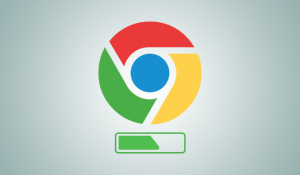 After following the above steps, a user can resume CRDownload file which is paused or not downloaded properly in chrome using Firefox or another browser. A Temporary Crdownload file created in Google Chrome till a file is not downloaded completely. Sometime during downloading process stop due to different software and hardware issues and lead to partial downloaded file with extension crdownload. To resume crashed crdownload file again in chrome, sometimes user faces problems. After understanding the user’s concern, we have discussed a way to overcome restart crdownload issue by following the relevant solution. If still, there is an issue then, feel free to leave a comment.